A Little Piece of Heaven? There are few better ways to see Lake Mead than from the decks of the Desert Princess, an old-fashioned paddlewheeler that offers excursions on the lake. The 300-passenger, 110-foot Princess, which displaces 150 tons of water, has the distinction of being the largest vessel ever to ply the waters of Lake Mead, which it does year-round, several times a day (more often in the summer months). With its three-decks, twin smoke stacks, rows of rear paddles and ornate design that was influenced by the classic riverboats of the Old South, the Princess is a noticeable contrast to Lake Mead’s stark but beautiful desert scenery. While the Princess may have an old-time Mississippi riverboat look, it is actually only a decade old and is equipped with modern amenities. 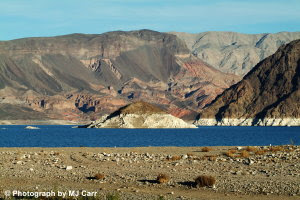 A trip on the Princess is an opportunity to enjoy the full menu of Lake Mead’s unique land- and waterscapes. Cruises depart from the Lake Mead Cruises Landing, a 2,400-square foot dock located about ten miles east of Boulder City. Gliding out of its slip, the paddlewheeler rides surprisingly smoothly for such as big boat. Powered by two propellers and the paddle array, the ship can reach a top speed of about 14 miles per hour. The journey heads out into the heart of the lake, which is one the largest manmade reservoirs in the country with 500 miles of shore. Soon, the ship passes massive Fortification Hill, a flat mesa opposite the arena. North is solitary Sentinel Island, while south are Big Boulder Island and Rock Island. The boat slides past both and slowly enters the mouth of Black Canyon. Interestingly, Hoover Dam, which was originally called Boulder Dam, is located not in Boulder Canyon—that’s farther north—but in Black Canyon. As the sternwheeler continues up the canyon, it is pointed out that sometimes bighorn sheep can be seen walking along the steep cliffs. Ahead, looms Hoover Dam. Arriving via the lake offers a different perspective on the dam. It’s a weird feeling floating near the dam and thinking that on the other side of the concrete wall is a drop of more than 700 feet. In addition to offering a pleasant, smooth ride, the Princess was designed to meet the challenges of operating in the often-hot Southern Nevada climate. Two decks are enclosed and temperature-controlled, while the top deck promenade is open for those wanting to get some sun. One and a half-hour, narrated Mid-day sightseeing cruises are scheduled daily at 12 noon and 2 p.m. (November 1 through March 31), then expand to four times a day in the summer. The Princess also offers a three-hour Dinner/Dance Cruise for adults throughout the year. For more information call 702-293-6180, www.lakemeadcruises.com. Most people drive through Cave Rock without thinking much about it. It’s merely the tunnel through which they travel in order to get from Glenbrook to Zephyr Cove on the east shore of Lake Tahoe. But there’s far more to its story. The first mention of this Tahoe landmark was in the mid-1850s, when surveyor George H. Goddard described it as a “legendary cave.” His description reflected the importance the cave had to the native Washo people. According to one Washo legend, the cave was formed by the Great Spirit after the waters of the lake began to rise and threatened to drown the Washo who lived by the rock. The Great Spirit thrust his spear into the rock to form a cave into which the water could drain. Yet another legend has it that the cruel and evil Paiutes, traditional enemies of the peace-loving Washo (or so goes the tale), tried to conquer and enslave the Washo tribe. The “god of the world” came to the rescue of the Washo by creating the cave and imprisoning the Paiutes inside of it. There, the evil ones were transformed into water demons, who were afraid of the lake, and can never leave. It is said that their cries and moans can sometimes be heard coming from the cave. That particular legend seems to stem from the many stories indicating that the cave was the site of a number of fierce turf battles between the Washo and Paiute tribes over who could fish and hunt at Lake Tahoe. More recently, some have claimed that “Tahoe Tessie,” a sea serpent-like monster that has allegedly been sighted at the lake resides in the waters below Cave Rock. Of course, these days we can only imagine what Cave Rock once looked like because it was turned into Cave Tunnel in the early part of the century. That’s when a 200-foot passage was dug through the back of the cave and a parallel tunnel was blasted through adjacent rock. You can still see the original “cave” part of the tunnel in the rough rock walls that constitute several hundred feet of the southbound or west tunnel. A hike around the imposing rock, however, still provides glimpses of the past. To the immediate west, you can still see the remnants of the original Lake Bigler Toll Road that once circled Cave Rock. In the mid-1860s, a one-mile road costing some $40,000 was constructed on the west face of the rock. When it was built, this section was the most expensive stretch of road between Placerville and Washoe City. You can still find a quarter-mile or so of the road, including hand-chiseled stone buttresses. At the western-most point, where the road was apparently built out over the lake and was supported by a 100-foot trestle bridge (it collapsed long ago), you can look down to the rocks and water below, and understand why the tunnel was built. Additionally, from the southern side, you can see several smaller caves in the granite rock. One, located above the median between the north and southbound traffic lanes, is actually fairly large and, if you listen hard, you can hear the wind whistling through it—or perhaps it’s the faint wailing of the water demons. From the north side at the waterline, you can also see several shapes in the rock face below the tunnel that have been given names, including, above the water line, the 50-foot profile of the “Lady of the Lake” (complete with eyelashes) and the “Gorilla Profile,” located on the upper curve of the rock. Cave Rock is also the location of one of the Nevada Division of State Parks more popular boating and fishing spots. Visitors will find a boat launch ramp, restrooms and a pleasant small sandy beach area with room for swimming or catching a few rays of sunlight. There is a day use fee for parking at Cave Rock and using the state park facilities. The pass is also good during the day for the state park system’s two other Lake Tahoe recreational areas at Sand Harbor and Spooner Lake. Cave Rock is located about 20 miles west of Carson City via U.S. Highway 50. 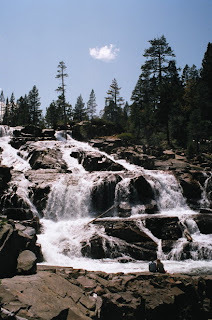 For more information about the state park facilities contact the Lake Tahoe Nevada State Park, 775-831-0494. One of several caves found at the Hidden Cave/Grimes Point area. It’s easy to see how Hidden Cave earned its name. Tucked into a hillside, you don’t see it until you’re practically standing on top of it. 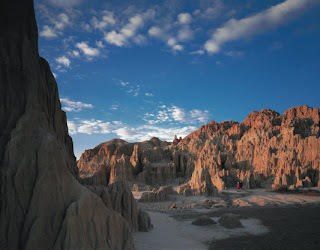 Located about 12 miles east of Fallon via U.S. 50, the cave was discovered in the mid-1920s by four local boys, who were searching for lost treasure. One of the boys found the cave’s narrow opening and the four soon began using it as a secret hideaway. In the 1930s, a guano miner named McReilly found the cave and began removing the bat droppings. At the time, he reportedly complained that his digging would be much easier “if it weren’t for all the Indian junk” in the cave. That report reached Margaret “Peg” Wheat, a lifelong Fallon resident, who was also an archaeologist. She visited the site and immediately recognized its potential. Wheat invited Mark R. Harrington, an archaeologist who had excavated Southern Nevada’s Lost City and Gypsum Cave sites, to take a look at the cave. While searching for the small opening to the cave, Harrington is said to have remarked that “this is certainly one hidden cave”—which is said to be how it got its name. Harrington was sufficiently impressed by Hidden Cave to recommend that it be studied further. In 1940, S.M. and Georgetta Wheeler, associates of Harrington’s, began formal excavation of the site on behalf of the State Highway Commission. Writing about the dig, contemporary archaeologist David Hurst Thomas has described the Wheelers as “exceptional” archaeologists who excavated the site with great care and skill. The two uncovered more than 1,500 prehistoric artifacts, which became part of the Nevada State Museum collection. Following the Wheelers’ dig, the site was closed off with a heavy iron gate—which vandals soon destroyed—and was largely ignored for more than a decade. 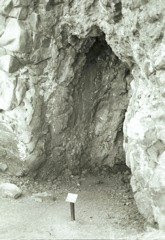 Wheat, however, didn’t forget about the cave and in 1951 persuaded geologist Roger Morrison to study the site. Morrison and two archaeology students spent two months at the site collecting additional data. During the next two decades, interest in Hidden Cave again waned and it was picked over by relic hunters and vandals. 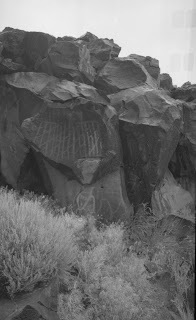 In 1971, however, the Bureau of Land Management nominated the cave and surrounding Grimes Point area (home of many petroglyphs) to the National Register of Historic Places. In the late 1970s, the site was studied extensively by a team of archaeologists working with the American Museum of natural History in New York City and the University of Nevada. Today, regular guided tours of the cave are offered by the BLM. The Hidden Cave Interpretive Trail, which leads to the cave, passes by more than a dozen points of interest including other caves. The tour begins at a parking lot below the cave. The trail winds up a narrow trail before stopping at Picnic Cave, a tufa-encrusted shallow opening in the rocks. Picnic Cave’s unusual formations were created thousands of years ago when the entire area was underneath ancient Lake Lahontan. Studying the open expanse below the cave, it’s possible to see the horizontal lines in the rocks that indicate earlier water levels. The trail continues to wind up the hillside, passing by Burnt Cave and other interesting stops (even a few petroglyphs) before reaching Hidden Cave. A massive metal door, which protects the cave, swings open to reveal the narrow entrance. An electric generator is turned on and the interior is suddenly bathed in light. Hidden Cave is considered a significant historic site because it apparently served as a storage place for prehistoric tribes who camped in the area. Inside, archaeologists have found fishing nets (remember, the cave was surrounded by water at the time) as well as stone tools, weapons and stored seeds and nuts. The other fascinating thing about the cave is the way it has been preserved as an archaeological dig site. The walls are tagged with small markers indicating the various stratum, which show their age. Public tours of Hidden Cave are held on the second and fourth Saturdays of each month and begin at the Churchill County Museum in Fallon at 9:30 a.m. Additionally, group tours are available by appointment through the BLM. For more information, contact the Churchill County Museum, 775-423-3677, or the BLM, 775-882-1631. Perhaps the best way to look at Sand Mountain is as a giant sand box—and even adults get to play in it. 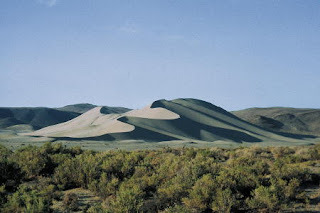 Located 32 miles east of Fallon on U.S. 50, Sand Mountain is actually a massive sand dune that rises about 600 feet above the surrounding desert floor. The dune was formed from sand from the surrounding flats, which were once part of an ancient inland sea called Lake Lahontan. About 4,000 years ago, the lake dried up, leaving behind the sandy lake bottom. Over centuries, the dried sand was blown against nearby Stillwater Range, accumulating into a huge mound. In other words, Sand Mountain is a giant beach without the ocean. Not surprisingly, the mountain and surrounding area has become a recreational play land. The mountain is an off-roaders dream. Any day, the dune is dotted with specialized two, three and four-wheel motorized bikes and dune buggies skirting across its sandy surface. The buggies and bikes race up the steep slopes of the mountain, sometimes appearing to be nearly vertical as they rapidly climb above the valley floor. If they’re not powerful enough, they lose momentum and begin to fall earthward. But if they’re strong enough, they fly over the narrow ridge at the top of the mountain and descend down the backside. Of course, if you don't own a sand-friendly vehicle, you can always try to bum a ride off one of the sand jockeys buzzing up the mountain—most are pretty amenable to passengers. The trip up the steep sides of Sand Mountain is at once breathtaking and a bit frightening. The mountain has also become a haven for extreme athletes participating in the relatively new sport known as sandboarding. Basically, sandboarding is riding down the dune’s slopes on a smooth-bottomed sandboard at very high speeds—kind of like snowboarding on sand. The mountain, in fact, has become so renowned for its speedy slopes that each fall some of the world’s most experienced sandboarders compete in the Sand Mountain Open. During recent events, boarders achieved speeds in excess of 45 miles per hour during some of their runs. In addition to hosting all those sand-recreationalists, the mountain has certain other, unique qualities. For instance, it produces a booming sound when you walk on it (the sound is said to be a result of air being pushed through the sand by your weight) and at night when the wind blows across the sand the mountain is said to be singing. According to some folk stories, the Native Americans who lived in the region believed the booming noise was made by the god of the dune and generally avoided it. The Sand Mountain Recreation Area encompasses 4,795 acres and is managed by the U.S. Department of Interior, Bureau of Land Management. Camping, including in RVs, is allowed in a designated area near the base of the mountain. Services are quite limited although there is a vault toilet and a solar-powered pay telephone near the highway (it’s billed as “the Loneliest Phone on the Loneliest Road”). Visitors should bring their own water for washing and drinking. While fires are allowed, no wood is available (and there certainly aren’t any trees in the area). Best time of the year to visit Sand Mountain is in the spring and fall (it can be a little hot and windy in the summer and cold and wet in the winter). For more information about Sand Mountain contact the Bureau of Land Management, Carson City District office, 1535 Hot Springs Road, Suite 300, Carson City, NV 89706-0638, 775-885-6000. While it once boasted its own newspaper and stagecoach line, the northeastern Nevada mining camp of Pine Grove, near Yerington, is mostly a forgotten historical footnote these days. Pine Grove is located about 26 miles south of Yerington. To reach it, head 11 miles south on State Route 208, then turn onto an unmarked but well maintained dirt road. Follow the dirt road for 11 miles, then turn right on Pine Grove Mine Road (it’s marked). Continue west for four miles to the remains of Pine Grove. The town is located in Pine Grove Canyon, a heavily wooded, ruggedly beautiful slash in the eastern slopes of the Pine Grove Hills. The journey up into the canyon passes through scenic, craggy cliffs and gullies. William Wilson originally discovered gold in the canyon in 1866. A second mine, called the Wheeler Mine, was started soon after and within two years there were two large mills in operation, a post office, a weekly newspaper and a population of about 300. Additionally, a stage and freight line was established, which connected the mining camp to nearby Wellington in the Smith Valley. By the early 1870s, the town claimed some 600 people and a variety of businesses, ranging from saloons and hotels to a school and blacksmith shop. By 1893, the Wilson mine had produced more than $5 million, while the Wheeler generated some $3 million, both largely in gold ore with traces of silver. The mines began to decline just before that time although there was activity in 1900 and again in 1910. While smaller mining operators continued to work the old tailing piles for a number of years, most significant activity ended by 1918. The dirt road leading to the town was built in 1904 during one of the later mining revivals. Today, Pine Grove is only a shadow of its former glory, but still claims enough to make it interesting. At the east end of the town, visitors will find an informative historic marker adjacent to the stone remains of a former building. A little farther up the canyon you can find the remains of a leaching operation from the 1960s. Fortunately, the more modern mining work did not destroy a fine wooden and rusted iron stamp mill, still standing on a hill, or the horizontal mining shafts that reach deep into the mountainside. One hole was particularly interesting because of an intricate stone wall that had been constructed near the entrance (perhaps once part of a building at the opening of the mine). Of course, as with any abandoned shaft, it's safe to look at from a distance, but never enter the mine. Additionally, the shafts and stamp mill are located on marked, private property. About a quarter-of-a-mile from the mining area are the best remains of Pine Grove. Here, you will still find two fairly well preserved wooden structures, one apparently an old boarding house or hotel, while the other appears to have been a garage or storage building. Again, look, but don't touch. 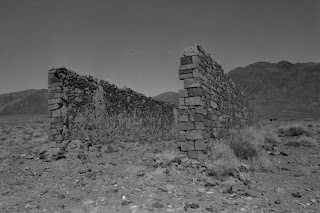 If you wander through the high sagebrush around the town's remains, it's also still possible to find the remnants of other buildings, such as partial walls and stone foundations. Directly east of the center of the former town, you'll also pass the ruins of a more recent placer operation (they appear to be from the 1960s mining efforts). Here, the rusting remains of various mechanical processing machines have become the newest ghostly remains at Pine Grove. A good map showing how to reach the Pine Grove area can be found in Stanley Paher’s Illustrated Nevada Ghost Towns and Mining Camps Atlas available at Nevada bookstores or from Nevada Publications, 1-775-747-0800. If you visited the former mining town of McGill two decades ago or three decades ago it would look pretty much like it does today. Certainly, a few more businesses would be open and there might be a bit more foot and car traffic, particularly if the smelter was still operating, but it wouldn’t appear much different from how it looks now. And that’s the secret of McGill—despite all the changes in the world, it has remained relatively unchanged. Located 12 miles north of Ely via U.S. Highway 93, McGill is one of the best examples of a company town in the state. For many years, nearly everyone who lived there worked for the mining company, which was originally called the Steptoe Valley Mining & Smelter Company and later the Kennecott Copper Corporation. Founded in 1906, McGill was first a tent city that rose in the flats near where the Steptoe Valley Mining Company built a massive smelter. The smelter melted copper ore mined in nearby Ruth and was part of the process of extracting the metal from the rock. Within a year, however, more substantial houses were erected for the mining company officials and a small business district began to take shape. To provide housing for workers, the company also began building modest wooden homes for them—hence the identical, cookie-cutter appearance of many of the small, older houses found in McGill. In 1908, the Nevada Northern Railway was extended through McGill on its journey to Cobre, a transfer point on the Southern Pacific Railroad, located about 130 miles north of Ely. By the 1920s, McGill had grown to rival nearby Ely as the largest town in White Pine County. Even a disastrous fire in 1922, which destroyed much of the smelting complex, didn't slow McGill, which peaked in 1930 when the town had more than 3,000 residents. The unusually long life of the Ruth/Ely area's copper mines contributed to McGill's longevity. For much of the next fifty years, McGill maintained a relatively steady population of about 2,000 people, most working for the smelter. During its more than 70-year mining boom, McGill acquired many of the trappings of community, including churches, a newspaper, a movie theater, a large brick school and a municipal swimming pool—actually an Olympic-size, old-fashioned watering hole. Additionally, as a result of the mining company's aggressive recruitment of new immigrants, McGill became one of Nevada's most ethnically diverse communities. Large numbers of Greeks, Irish, Slavs and other newcomers to the America found their way to McGill to work at the smelter. But, as with all mining towns, when the mines closed, the jobs disappeared. In this case, McGill's day of reckoning came in the early 1980s when Kennecott closed its eastern Nevada operations, including the smelter. Much of the town's population began to drift away during the 1980s. Construction of a state prison in the late 1980s did bring an influx of new people to McGill but not enough to change it. In 1993, Kennecott cleared away the remains of the old smelter complex, including the giant smokestack. The site is now a graded field. Today, while McGill hasn't recovered from the loss of the smelter, it is certainly in better shape than a few years ago. Many of the old company homes have been repainted and fixed up by new residents. The downtown business district, however, remains a mix of shuttered buildings and hardy survivors, including the McGill Drug Store Museum at 11 Fourth Street (U.S. 93). McGill’s unchanging nature is perhaps best represented by the drug store museum, which opened in 1915 and operated continuously until 1979. Gerald and Elsa Culbert owned the store from 1950 until it was closed following Gerald’s death. In 1995, the Culbert’s children donated the drug store, which still contained its complete inventory on the shelves, to the White Pine County Museum for preservation and display. These days, visitors can tour this fully intact, 20th century, small town drug store, which still has an operating soda fountain. The museum is open by appointment (call 775-235-7082). It's proof that not much has changed in McGill. For more information about McGill contact the White Pine Public Museum, 2000 Aultman St., Ely, NV 89301, 775-289-4710, www.idsely.com/~wpmuseum. No place deserves the sad fate of Aurora. A thriving mining camp with more than 10,000 people in the 1860s, Aurora is one of Nevada’s lost historic sites. The remnants of Aurora can be found about 30 miles southwest of Hawthorne via State Route 359, Lucky Boy Pass Road and a dirt road marked for Aurora. The road is rocky, so a high clearance, four-wheel drive vehicle is needed. Gold and silver were first found in the Aurora area in August of 1860. 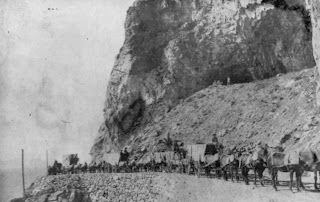 Within a short time, hundreds of miners were streaming into the region to make their fortunes. According to early records, the discovery site was named Aurora, meaning “Goddess of the Dawn,” while the mining district was named “Esmeralda,” in honor of the groves of piñon trees that covered the surrounding hills. By 1861, the new town had grown to about 2,000 residents. It had tent saloons and restaurants, shops, more than a half dozen stamp mills to process ore and regular stagecoach service from Carson City. All that development soon attracted the attention of both California and Nevada. 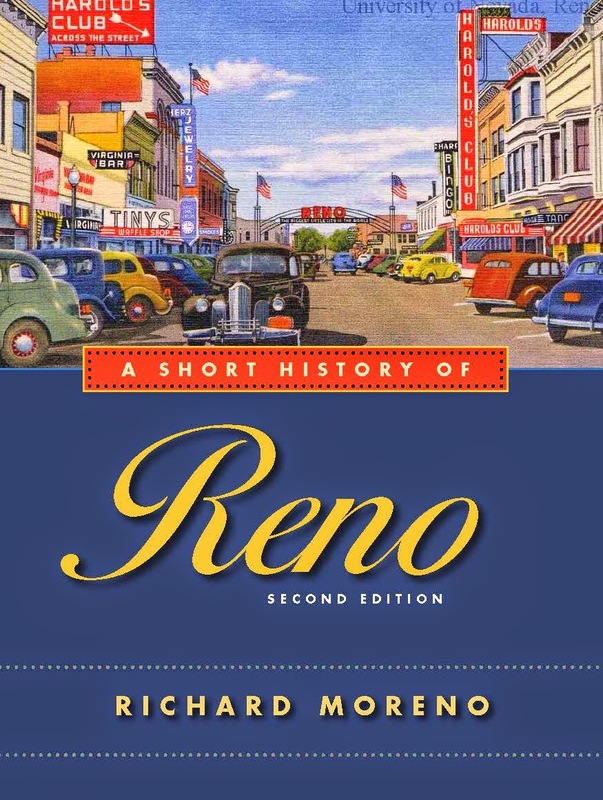 In the spring of 1861, California created Mono County and named Aurora as the seat. A few months later, Nevada responded by naming it the seat of Esmeralda County. The battle over Aurora’s status continued for nearly two years, during which time there were dual county courts and officials. The matter was finally resolved in October 1863, when both states agreed to an impartial state boundary survey. When it was completed, Aurora was found to be four miles inside of Nevada. Impressed by his writing, the Enterprise offered Clemens a job, which he accepted. Once at the Enterprise, he began writing under his more famous pen name, Mark Twain. Aurora prospered during the next few years. By the middle of 1863, it had grown to a veritable city, with nearly two dozen saloons and stores, two newspapers, a dozen hotels, 16 mills and nearly 10,000 people. Like many mining towns, however, much of the wealth was temporary. Rampant mining stock speculation, overbuilding and overly optimistic projections of the area’s mineral reserves had created an artificial boom. By early 1865, the town had started to decline, losing half its population and businesses. Aurora experienced a second, smaller boom in the late 1870s, but by 1883 had dwindled so much that nearby Hawthorne was able to take away the county seat. The post office closed in 1897. But Aurora wasn't finished. Just after the turn of the century, the mines were reopened and the town once again came alive. By 1906, several hundred people had moved back into Aurora, which again had a post office, newspaper and other businesses. This later boom lasted until about 1919, after which Aurora slipped away for good. In the late 1940s, scavengers leveled the town’s remaining buildings to reuse the bricks in California. Today, there isn’t much remaining of Aurora. Even the quiet ambiance of the area has been permanently shattered by the presence of large modern mining operations, which have gouged holes in the surrounding hills. Wandering the townsite, you can still find a few wooden shacks, cement walls, the remains of an 1897 stamp, foundations, cellars and a couple of stone walls. 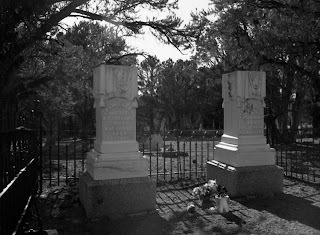 The best testimonial to the town’s prominence is found in the large cemetery grounds, located on the hills to the north. There, you can find the impressive final resting place of a Nevada State Senator and a handful of other obviously noteworthy folks. There are extensive mill foundations adjacent to the town site, overlooking one of the many huge open pits. Additionally, you can find the picturesque stone and rusted metal remains of an old smelter or kiln in the canyon, alongside the road leading into Aurora. Wooden troughs show where a small creek was diverted to provide water. Across the road from the smelter ruins, half hidden in the trees, you can also find some beautiful clay cliffs that resemble those found at Cathedral Gorge State Park in Eastern Nevada. Aurora is only 13 miles from the ghost town of Bodie, now a California State Park. You can drive between the two, along the Bodie Creek, but the seasonal road, which parallels a creek, is extremely primitive and requires a four-wheel drive vehicle. A strong wind sweeps across the tumble down buildings in the old mining camp of Rochester. In the fading late afternoon light, they become harder to see and mysterious. The ghosts are coming to life in Rochester Canyon. Rochester Canyon was once one of north-central Nevada’s most successful mining camps. In the early 20th century, the region produced more than $6 million in silver, gold, copper and lead. 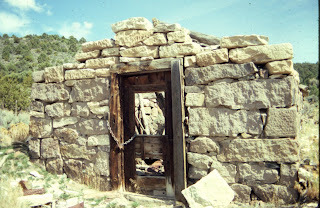 The ruins of the Rochester Canyon communities are located about 10 miles southeast of Interstate 80 at the Oreana exit. To reach the site, exit at Oreana (14 miles northeast of Lovelock), then travel three miles on a paved road. At a fork in the road, turn right onto a maintained dirt road and continue another seven miles to Rochester. 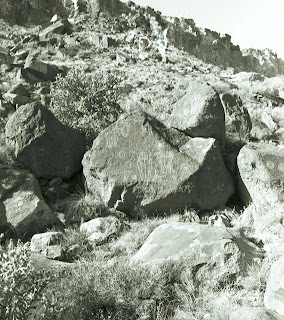 Rochester Canyon was first explored in the early 1860s by prospectors from Rochester, New York (thus its name). Small-scale mining was initiated but proved largely unsuccessful. In 1912, Joseph Nenzel discovered large bodies of silver ore in the canyon, which sparked a significant boom. By 1913, more than two thousand miners were working the area and a two-and-a-half mile long ribbon of miner's shacks, commercial businesses and other buildings began to line the center of the canyon. Several separate town sites were actually laid out in the canyon. 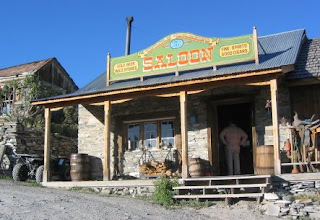 Near the top was Rochester Heights, which had a popular local saloon. Farther down the canyon was Rochester, which quickly became the largest settlement with several substantial stone buildings to house hotels, saloons and offices. At the mouth of the canyon was Lower Rochester. At its peak in 1913-14, the town of Rochester had its own orchestra, regular freight service, dance halls and a 100-ton mill to process the ore.
By 1915, following completion of a shortline railroad that connected to the nearby Southern Pacific line, Lower Rochester grew into the biggest camp. In 1917, an aerial tram system was completed to carry ore from the mines to the mill at Lower Rochester. Rochester’s mines continued to be productive throughout the 1920s and 30s. The mines were shut down in 1942, as a result of shortages of equipment and supplies during the Second World War. Efforts to restart the mines continued after the war but none succeeded until the 1980s with the development of a large gold mining operation, the Coeur Rochester Mine, which operates on the mountain above the canyon. Despite the years of neglect, Rochester, as the whole area is referred to today, offers intriguing glimpses at an early 20th century mining camp. 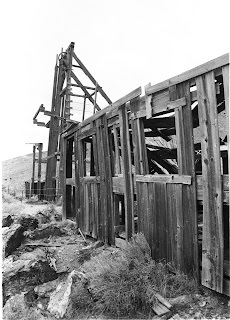 When you enter the former site of Lower Rochester, you will find a handful of impressive wooden mining headframes and decayed buildings on the southern hillside. Wandering among the ruins, you can spot the mostly intact fly-wheels, cabling and other pieces of equipment on the headframes. Additionally, there are also the partial remains of the ore-cart track and bridge, adjacent to the headframes and buildings. One note of caution: be very careful walking around any part of Rochester Canyon because there are many open mine shafts. Also, do not touch anything. Most of the buildings are barely standing and probably won’t survive too many more years and any abuse. Up the canyon from those ruins, you will find a large mill building, mostly intact. The structure seems in fairly good condition, although not safe enough to enter. Opposite the mill building, you can also spot the large concrete foundations of what must have been another, larger mill site. The road continues up the canyon, with a handful of stone foundations and crumbling, wooden miner’s shacks peeking through the surrounding sagebrush. A commemorative plaque telling the story of Rochester can be found in front of one of the former miner’s homes, adjacent to the road. From the plaque, the road heads farther up the canyon but becomes rockier and there aren’t any more ruins along the way. About a mile from the plaque, you reach a locked fence and the entrance to the Coeur Rochester Mine, which is closed to the public. For more information about Rochester, contact the Lovelock Chamber of Commerce, P.O. 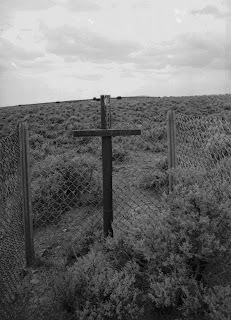 Box 821, Lovelock, NV 89419, 775-273-7213. In honor of the 150th birthday of Carson City, I'd like you to think about this the next time you drive by Nevada’s distinctive silver-domed State Capitol in Carson City. Imagine how it might look in Winnemucca or American Flat or Boise, Idaho. Several times in Nevada’s history there have been attempts to locate the state capital in some other location. Even before Nevada became a state, there was debate over where to place the seat of state power. For instance, Genoa was the site of the original discussions about forming a Nevada Territory in 1857. 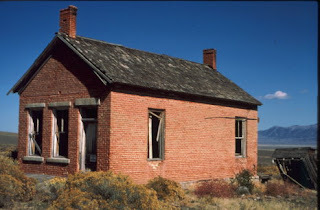 Later, the town served as the home of the first territorial convention which formed a kind of renegade provisional government (at the time most of Nevada was part of the Utah Territory). Two years later, however, Congress finally authorized creation of an official Nevada Territory. 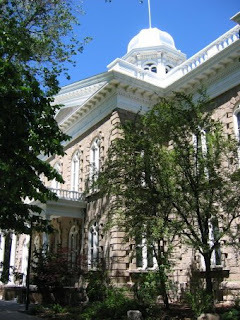 As part of that act, the seat of the territorial government was moved from Genoa to Carson City. 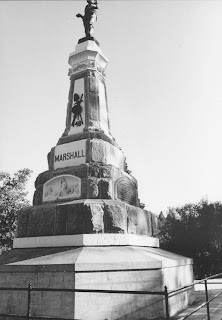 Historian Russell Elliott notes that Carson City’s selection was aided by influential Carson City attorney William M. Stewart (later selected one of Nevada’s first two U.S. Senators), who cleverly traded county seats to potential rival communities in return for their support. Additionally, Abraham Curry, one of Carson City’s founders, offered free land for a state capital. But since the State Capitol building wasn’t constructed until 1870-71, there was still plenty of time for other pretenders to steal away the capital. Goodman counted heads and found that while the Assembly would go along with the move, there was a tie vote in the Senate. He decided to focus his attention on persuading “Uncle Abe Curry” to switch his vote in favor of Virginia City but was, in turn, convinced to drop his effort by a tearful Curry. “The jig was up, I honored the old man’s sentiment, though it swept away our brilliant dream of empire,” he concluded. Of a more serious nature was a handsome financial bid for the capital made that same year by the small mining town of American City (later known as American Flat), which was located a mile west of Gold Hill. American City’s boosters were so certain of their camp’s future that they offered $50,000 to the territorial government it would relocate there. Despite support from Virginia City newspapers, the offer was rejected. American City faded away within a few years. Ironically, the same man who helped to locate the capital in Carson City, Senator William Stewart, later tried to move it to Winnemucca. In the late 1880s, Stewart saw that due to depleted mining resources Nevada’s economy was experiencing a severe depression. His solution was to annex portions of politically weaker territories such as Idaho and Utah in order to expand Nevada’s population and economic base. In 1888, Stewart proposed adding northern Idaho to Washington and southern Idaho to Nevada and suggested Winnemucca as the new capital of the expanded Nevada because of its location in the center of the new state. The proposal was shelved after opposition surfaced from President Grover Cleveland and, not surprisingly, residents of the Idaho Territory. Not willing to drop the matter, Stewart made another attempt at annexation in the summer of 1888. Reasoning that most of southern Idaho’s opposition came from the citizens of Boise, he suggested dual capitals of Nevada in Boise and Carson City. Idahoans, however, still preferred statehood and Stewart’s proposals died in Congress. In 1890, Idaho was finally admitted as the 43rd state. A few years ago, there were discussions about moving the capital to Las Vegas, home of most of the state’s population. The state Legislature responded by scheduling more hearings in Las Vegas during its biannual sessions. Maybe that’s why Las Vegas lost interest. You won’t find any cherries at the old mining town of Cherry Creek. He town, in fact, is named after the small creek of the same name that runs through it. The creek apparently gained its name, according to local legend, because it flows from a nearby canyon that once contained either wild cherry trees or chokecherry bushes. Located about an hour north of Ely in Eastern Nevada, Cherry Creek traces its beginnings to the early 1870s, when gold and silver were discovered in the area. Within a few months, more than 1,000 prospectors had rushed into the region to make their fortunes. By the middle of 1873, Cherry Creek had developed to the point of having a post office, a Wells Fargo office, a couple of saloons, and several other businesses. For much of the next decade, the town had its ups and downs but generally thrived as the mines produced thousands of dollars in gold and silver ore. A couple of large stamp mills were constructed to process the ore in the late 1870s. Promising new discoveries in the early 1880s created more interest in Cherry Creek and several businesses from other Eastern Nevada mining towns relocated to Cherry Creek, convinced it was going to be the next Virginia City. Among the businesses to move into the booming mining town was the White Pine News, a newspaper that had formerly been published in the mining town of Hamilton. Things were looking so good for Cherry Creek that in 1882, the town made an attempt to claim the white pine county seat from Hamilton, which was in decline. Unfortunately for Cherry Creek, it, too, was entering a mining slump. 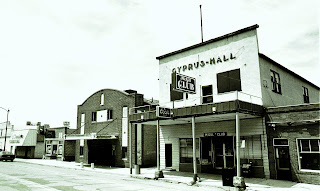 When the county seat was finally moved in 1887, it was the copper mining boomtown of Ely that became the new county seat and not Cherry Creek. Cherry Creek’s fortunes, in fact, were changing. Less valuable ore was being extracted and, unlike in the past, no new significant ore bodies were being discovered. By the mid-1890s, mining had virtually ceased in the Cherry Creek district and the town’s population had dropped to a couple of hundred optimistic souls. But it’s hard to keep some mining towns down. In 1905, the district revived with several new discoveries. When the Nevada Northern Railway was being constructed from Ely to connect to the Southern Pacific Railroad line at Cobre, its builders decided to pass through Cherry Creek. This not only provided a cheap and easy way to ship ore from the town but it linked Cherry Creek to the outside world. Unfortunately, the mining revival was short lived and, by 1910, the town was again economically depressed. It experienced another brief revival from 1933 to 1940, but then the mines were closed during World War II. To date, most have never reopened. In recent decades, there has been small-scale mining in the area but no major commercial operations. A visit to Cherry Creek offers a rare opportunity to see a relatively intact old-time Nevada mining community. Newer homes, mostly either mobile homes or plywood structures, are interspersed with the brick, stone, mud, and wooden ruins of earlier economic boom times. In some cases, newer structures were simply added onto an older building, creating a cacophony of building materials and architectural styles. 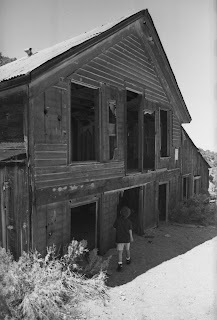 Wandering the dirt streets of the old mining town, you can find plenty of long abandoned homes and buildings. In many places, you’ll find an unusually large number of decaying sod houses, built by the 19th century miners. These habitats were constructed partially into the ground or into a hillside, and had wooden beam roofs, on which panels of grass or sod were placed. The result is a structure that looks a bit like a crude Hobbit house, half-buried in the ground with a wooden door and wooden interior walls and floors. Other Cherry Creek houses were no more than tiny wooden shacks with corrugated metal roofs. If you peek into the window of one of these now-abandoned buildings you might still see old furnishings, such as a rusted metal bed frame, a worn mattress, a warped wooden table and torn curtains. The weathered, exterior wooden walls have a wonderful texture to them that seems to say much about Cherry Creek’s rich past. One of the more impressive ruins is a solid-looking, red brick house at the north end of the town, which, while exposed to the elements because the windows and doors are long gone, still manages to offer a glimpse into the lifestyles of Cherry Creek’s pioneers. In this case, you can still find the remains of curtains fluttering in the broken windows and inside there is still wallpaper on the walls. In the back, the old wooden outhouse has fallen over but since it had two-seats—you know someone of substance once lived here. A handful of Cherry Creek’s buildings show the influence of the railroad. These buildings, which include the old jail, are constructed of large, sturdy railroad ties. In the center of the town you can find what’s left of the old commercial center, including a large, red freight barn, and the Cherry Creek Saloon, which is still open for business. Across the street from the bar, are the foundations of several other stone buildings, other remnants of the town’s once substantial business district. An historic marker adjacent to the ruins tells about Cherry Creek. On the west edge of town is the old Cherry Creek schoolhouse, still in good shape, which now houses a small museum. Inside, you can find an assortment of antiques including old bicycles, mining equipment, clothing, and furniture, all from Cherry Creek’s past. The museum is open on weekends during the summer months. On a hill just south of town, with a beautiful view of the surrounding Steptoe Valley, you can find the Cherry Creek cemeteries. Divided by religious and ethnic groups, the various cemeteries contain dozens of worn wooden and elegant marble tombstones. Adjacent to the cemeteries is a rundown, single-story, log cabin structure, which carries a sign designating it as the town jail. It certainly makes you think twice about a life of crime. As one of the most active geothermal regions, Nevada is blessed with dozens of natural warm and hot springs. Throughout the state you can find small pools of warm and hot water, some of which are safe enough for a soothing soak. However, always check with local folks or refer to a good hot spring guidebook before dipping into one of these holes because some are scalding hot. One of the more accessible of these natural hot tubs is Spencer Hot Springs, a geothermal swimming hole located about 20 miles southeast of Austin in the northern part of the Big Smoky Valley. Spencer Hot Springs isn’t much to look at—a crude pool dug in the ground with a partial wooden deck. The pool is surrounded by chalky alkali ground covered with sagebrush and assorted grasses. Hot water pours from a rusted pipe to a smaller pool above the main dipping pool. A faucet between the two allows soakers to regulate the heat of the water in the lower pool. Another pipe sends overflow water to a swampy area below the pool. Since the setting is so rustic, don’t expect any amenities at Spencer. This is no resort spa—it’s just you and the hot water. Additionally, always test the heat of the water before climbing into the pool to make sure you can tolerate the heat. And since many of Nevada's hot springs pools are located in far off places, carry a few survival essentials such as an inflated spare tire (we had a flat tire right after visiting Spencer a couple of years ago!) as well as sufficient gas, water, matches and a sleeping bag or blankets (just in case you have car trouble and can’t drive out). Interestingly, there are hot springs fans that travel around the West, moving from pool to pool. A couple of years ago, I stopped at Spencer and discovered a retired couple from England camping in their RV at the site. After awhile, a second RV pulled up, driven by a long-haired, bearded man. As he climbed out of his vehicle, he recognized the older couple. It turns out that they had met at a hot springs in Mexico the previous year. One of the best things about soaking in Spencer, however, is that most of the time you’re the only person there. You can sit back in the pool, relax in the warm water and enjoy a magnificent view of the wide, open Big Smoky Valley. And it’s free. To reach Spencer Hot Springs, travel about 14 miles east of Austin on U.S. 50 to the point where it intersects with State Route 376 (the road to Tonopah). Turn south on 376, then after about a tenth of a mile, take an immediate left onto a dirt road (marked by an historical marker for Toquima Cave). Travel six miles on the dirt road, then turn left onto another dirt road and head toward a small rise. Spencer Hot Springs is located on the eastside of the mound. 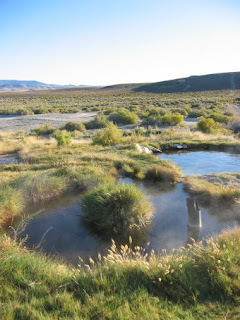 Two of the best sources of information about regional hot springs "Hot Springs of Nevada" by George Williams III and "Touring Nevada and California Hot Springs" by Matt Bischoff. Both are available from Amazon books. My wife and I own a parcel of land in the middle of nowhere. It’s not really the middle of nowhere—it just has a remarkable resemblance to the middle of nowhere. And for years we have paid taxes on it. Specifically, it is ten acres of sagebrush and dirt located in the Dun Glen Flat/Buena Vista Valley region, about halfway between Lovelock and Winnemucca. The roots of this little piece of virtual nothingness can be traced back to the late 1960s, when my wife’s parents purchased this parcel—generously described as a “ranchero” in the promotional literature. In the early 1990s, my father-in-law turned over the title to the parcel to my wife, who later added me to the deed. For many years, we’ve joked about our little plot in Pershing County. We’ve kidded each other about one day retiring to our hunk of undeveloped dirt that has no water, electricity, or other improvements. So, one day we decided to check out our humble estate. My wife had actually been out to look over the lot many years ago but I had never had to pleasure of viewing it. We headed east of Reno on the interstate, traveling about 93 miles to Lovelock (where we stopped for ice cream). We continued east on I-80 for another 42 miles to the Mill City exit. There, we headed south on SR 400. A crude map in our files indicated that the parcel was about 12 miles south of Mill City, apparently some unknown distance from the highway. Despite having the helpful and detailed deed description (you know—“The E 1/2 of S 1/2 etc.”), we quickly realized that other than two or three fairly large ranches, there wasn’t much to differentiate one parcel from another in the Dun Glen Flat or adjacent Buena Vista Valley. In fact, we had a hard time finding our little ten acres tucked in the middle of the tens of thousands of barren, vacant acreage out there. At one point, a local rancher came along in his truck as we stood by the side of the road scanning the vast open space for some clue as to the site of our land (I guess we were expecting a big sign or a neon arrow or something . . .)and asked if we needed help. We told him about our quest to locate our land and described what we were looking for. He scratched his head thinking about it for a moment and then remembered that the only ten-acre lots were a few miles north, near what one of our road atlases called the Star Creek Ranch. He said nearly all the rest of the lots in the valley that weren’t part of larger ranches were a minimum of 20 acres. We drove back to the spot he had indicated and looked out over the desert. Just beyond a barbed wire fence we could see a series of either power-line or telephone poles stretching north to south, seemingly forever. All of the land around us was cracked and dry, with the general flatness broken by occasional gray-green mounds of scruffy sagebrush. Here and there, you could see rocks peeking through the thin, yellow-brown grass that barely covered the ground. In the distance, we could see a large patch of green—apparently the Star Creek Ranch grew alfalfa. Unable to determine exactly which vacant acreage was our ten acres, we wandered into the desert for a little while—and imagined we were looking at our land. I tried to envision where we would put the carport, the swimming pool and the satellite dish. A fishing pond might be nice. In the end, I decided that it was enough just knowing that somewhere out there was ten acres of land that was all our's. Even if I couldn’t tell exactly where.